President Black called the July 9, 2018 Regular Meeting of the Board of Commissioners to order at 7:01 pm, followed by a prayer and the Pledge of Allegiance. He announced that Proof of Publication was available for review. Commissioner VILLONE made a motion to approve the minutes from the June 11, 2018 meeting of the Board of Commissioners. Commissioner SCHIN seconded the motion. Motion carried 5-0. Resolution 2018-R-26: President Black read a resolution written to congratulate and thank Gregory Thomas for his 25 years of service with the Lower Allen Township Police Department. Motion to accept the resolution was made by Commissioner SCHIN and seconded by Commissioner VILLONE. Motion carried 5-0. Resolution 2018-R-27: President Black read a resolution written to congratulate and thank Curt Heckler for his 25 years of service with the Lower Allen Township Police Department. Motion to accept the resolution was made by Vice President SIMPSON and seconded by Commissioner SCHIN. Motion carried 5-0. President Black read a Commendation Letter written in honor of Township Manager Thomas G. Vernau, Jr. for his 30 years of service to Lower Allen Township in the Administration and Finance Departments. President Black read a Commendation Letter written in honor of Detective Donald Coffey for his 10 years of service to the Lower Allen Township Police Department. President Black asked that any Commissioner, staff member or anyone in attendance who would like to have an item on the Consent Agenda removed for further discussion request so now. There was no response. Department reports for the month of May for Community Development, Township Engineer, and Public Works. Tax Collector’s June 2018 monthly report. Motion was seconded by Commissioner SCHIN and carried 5-0. Commissioner VILLONE made a motion to approve the Check Register of June 22, 2018 in the amount of $119,778.43. Commissioner SCHIN seconded it. Motion carried 5-0. Commissioner SCHIN made a motion to approve the Manual Check Register of June in the amount of $232.00 and Commissioner VILLONE seconded it. Motion carried 4-0 with President Black abstaining due to having a relative who will benefit from the payment. In response to a question from Commissioner SCHIN on abstention, Mr. Vernau explained that a memo is to be included with the manual check register so that the Board would know why the Township was writing a manual check or voiding a check. This would give a member of the Board to chance to abstain from a vote if he or she chooses to do so for personal reasons, without having to abstain from the entire check register. Commissioner SCHIN made a motion to accept the check register of July 6, 2018 in the amount of $124, 248.08. This was seconded by Commissioner VILLONE and the motion carried 5-0. Disposition of Township equipment: Vice President SIMPSON made a motion to adopt Resolution 2018-R-28 authorizing the sale of Township property valued over $1,000.00. The property mentioned is a 2006 John Deere mower. Commissioner VILLONE seconded the motion and it carried 5-0. Hiring of a Mechanic: A motion was made by Commissioner SCHIN to adopt Resolution 2018-R-29 appointing Aaron J. Duncan to the position of Mechanic in the Fleet Maintenance Department, effective July 23, 2018. This was seconded by Vice President SIMPSON and carried 5-0. Ordinance 2018-04 was passed by a 5-0 vote. The sidewalk removal applies only to Shetter Lane frontage. The sidewalk long the Milltown Road frontage, including the sidewalk up to the Shetter Lane curb line, must remain. The Township’s Pedestrian/Bicycle Master Plan indicates a future trail route on Shetter Lane. If that trail comes to fruition, the property owner of 925 Shetter Lane may have to replace the sidewalk. The Township Ordinance allows for the BOC to require sidewalk construction along any street frontage. This could be required of the property owner in the future. The area where the sidewalk is removed must be graded, seeded, and maintained as a lawn or landscaped area. Motion was seconded by Commissioner HOLTZMAN and carried 5-0. ANY BUSINESS PERTINENT TO THE TOWNSHIP There was none. Public Safety Director David Holl requested the Board’s consideration for payment for the chassis of a new fire tanker for the Lisburn Fire Company. The current tanker this will replace will be 26 years old this fall. Recommendations for replacement are in the 15 – 20 year range. Funding of the new tanker will come from the Township Fire Fund, a loan from the PA Fire Commissioner’s Office, the Lisburn Fire Company funds, and the sale of the old tanker. The chassis has been received and continued building of the tanker over the next 6 months will cost $130,126.00. Motion was made by Vice President SIMPSON and seconded by Commissioner VILLONE to approve the necessary funds to continue tanker construction. Motion carried 5-0.
a. Extension of security. Township Engineer Dan Flint requested that the Board approve an extension for Improvement Security for SLD #2000-11, Heights of Beacon Hill Phase 2, establishing a new amount of $2,911.47 expiring on July 9, 2019. This also authorizes staff to draw on the line of credit if it would become necessary in the future. Commissioner SCHIN made a motion to accept the new amount and date extension and Vice President SIMPSON seconded it. Motion passed 5-0. The additional 10% cost increase for the upcoming year has not yet been secured. b. Extension of security. Flint asked the Board to approve an extension for Improvement Security for SLD #2005-22, Heights of Beacon Hill, Phase 3, establishing a new amount of $8,966.74 and a new expiration date of July 9, 2019. Commissioner SCHIN made a motion to accept the extension and Commissioner VILLONE seconded it. Motion passed 5-0. There will be a public hearing held on 7/19/18 regarding Docket #2018-05 which requests a variance to build a fence exceeding 3.5 feet in one of two front yards at 41 Citadel Dr. There will be a public hearing held on 7/19/18 regarding Docket #2018-06, which is a request to convert a carport at 1418 Carlisle Road into a garage. President Black explained to the audience that variances are granted or denied by the Zoning Hearing Board, not the Board of Commissioners. d. Building There was discussion raised regarding current commercial building height limits in the General Commercial (C-2) and Regional Commercial (C-4) zones. It is recommended that the current 40 foot limit in building height be increased to 75 feet. The Mineral Recovery district (I-2) currently has no limit, but a 75 foot height maximum is recommended. This would exclude specialized equipment. The Board is in favor and a draft for this amendment will be in the next packet. This will be followed by a public hearing and publication. a. Drainage plan. Dan Flint shared information he had received in meeting with a club group from Cedar Cliff High School which is working on plans for covered batting cages in front of the high school near the baseball field. They are hoping to have the plan ready to bring to the next meeting. b. Locust Street plan. SLD Docket No. 2017-04, 145 S. S. Locust Street; a time extension was granted at a previous meeting and a revised plan was submitted. Tim DeWire from K and W Engineering is now representing the client, Mr. Grace. The plan is not ready for approval and the time extension has expired. Discussion ensued on the options of not granting another extension, which results in the developer having to start over vs. giving an additional time extension of 2 weeks for the outstanding issues to be completed to allow for approval. Decision was made by the Board to allow the developer 2 more weeks until the July 23rd meeting to get the administrative details done. Commissioner SCHIN made a motion to accept the two week extension and Vice President SIMPSON seconded it. Motion carried 5-0.
c. Gettysburg Road relocation. Flint also spoke about additional costs that the Township has incurred for the Gettysburg Road relocation project due to the Buckeye Pipeline relocation. Costs could be in the range of $150,000 to $160,000. The Township is seeking additional funds from PennDOT through HATS, as these are legitimate construction costs. a. West Shore Rec. The West Shore Recreation Commission is updating the Intergovernmental Cooperation Agreement due to the departure of Newberry Township and the West Shore School District. They need approval of their updated IGCA by the end of August. Commissioner VILLONE made a motion to accept the updated IGCA and Vice President SIMPSON seconded it. Motion carried 5-0.
b. Advertise litter ordinance. 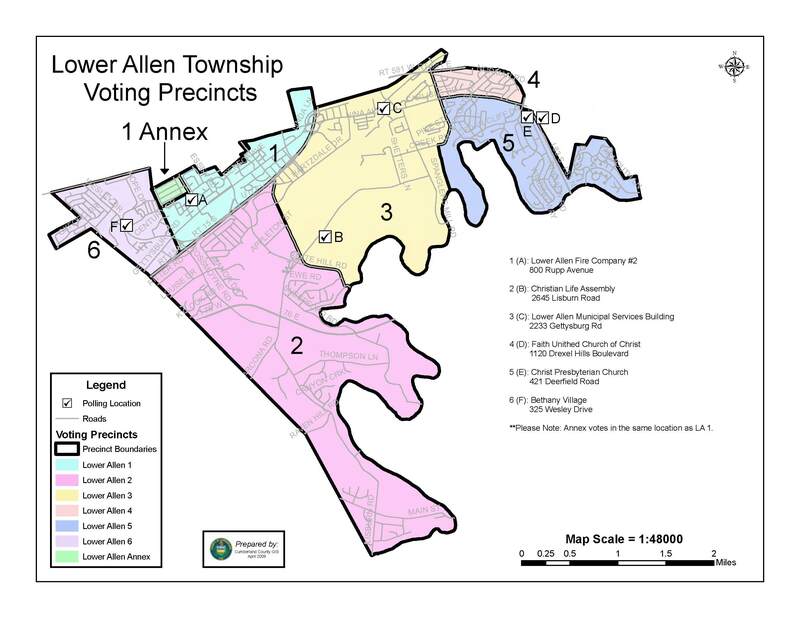 Vernau presented a draft of an ordinance to give Lower Allen Township the ability to enforce the discontinuation of distribution of free newspapers and circulars as well as other forms of litter. It includes asking residents to remove any such items from their property. Staff is looking for authorization to advertise this ordinance. Commissioner SCHIN made a motion to authorize staff to advertise the ordinance and Vice President SIMPSON seconded it. Motion carried 5-0. Commissioner SCHIN requested that the citizen who had brought up the initial concern be kept in the loop. c. Stormwater fee collection. Township Solicitor Steve Miner led a discussion on stormwater fee collection. The Township is not allowed to assess the fee directly. Some townships use their sewer authority to collect the fee and others have created a separate Stormwater authority. Either way a decision needs to be made so the paperwork can be started for fee collection beginning in 2019. Discussion ensued. Vice President SIMPSON made a motion to create a separate Stormwater Authority and Commissioner VILLONE seconded it. Motion carried 5-0. Mr. Miner would like permission to advertise a public hearing on the stormwater fee collection. Vice President SIMPSON made that motion and Commissioner VILLONE seconded it. Motion carried 5-0.
d. Chianos Field dedication. Vernau provided a picture of the James W. Chianos Memorial Field sign that has been installed and mentioned that the landscaping in the area of the sign was donated by Black Landscaping. He would like to have a ribbon cutting or memorial ceremony planned after July 14th to dedicate the park. Commissioner Schin suggested inviting groups who may have known Mr. Chianos through use of the park fields to attend. President Black indicated the dates in July when he would not be available. Mr. Dan Flint announced that environmental clearance for the Gettysburg Road relocation has been approved by PennDOT. Next step is getting the Right of Way. Mr. John Eby reminded the audience of the upcoming Yellow Breeches Creek Cleanup to be held on Sunday, July 15th, 2018. He also confirmed that the demolition of White Pines has been completed. Township Manager Tom Vernau mentioned that he has a copy of the Cumberland County Historical Society annual report if anyone would be interested in seeing it. He also spoke about a gap in the fence at Wass Park which was repaired by Public Works, as it posed a safety hazard. Commissioner Villone talked about attending some of the park tours which were held this summer. He attended the Lisburn Fire Company meeting, where there is concern about the roundabouts and how they will affect the annual festival. Dan Flint assured the Board that the highway occupancy permits are close to being done, but the timing of the roundabout construction should not interfere with the Festival. Vice President Simpson thanked Mr. Vernau for the work he put into the PSATC Skytop Conference. Commissioner Schin stated that he would like to see a more proactive approach in firework enforcement. He also mentioned seeing more of the We Sell Houses signs being posted throughout the township. Mr. Vernau addressed Commissioner Schin’s concerns regarding recycling and stated that the recycling handout received from Penn Waste has been posted on the township website and Facebook page. Mr. Schin also attended a presentation on cable franchise (COG). There are 26 members currently signed up. Commissioner Holtzman also talked about the fireworks and how they were being set of from the walk bridge. Assistant Township Manager Erin Trone spoke about going to the County Courthouse with Mr. Vernau for the judicial sale of property. They purchased the trail parcel at Yellow Breeches Farms for $1,382.00. This was the opening bid and there were no other opposing parties. 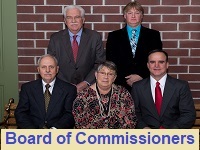 The Regular Meeting of the Board of Commissioners adjourned at 8:52 pm.